The Pro Sound Depot has the best DJ Equipment at the best prices around. Check out our selection of DJ lighting equipment with all of the latest light effects and DJ mixers from Behringer, Gemini, and more. 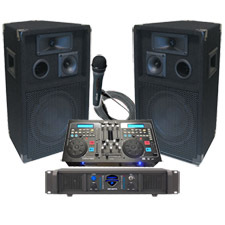 Our DJ Equipment is a collection of the best equipment at the lowest prices to save you money, while at the same time, building a successful DJ business. Find low priced DJ mixing software and DJ CD players to fit your needs, whether you are a startup or an established DJ business. 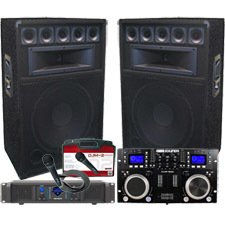 Pro Sound Depot offers complete DJ systems from name brands like Gemini, Marathon and American Audio. You can’t rock out without the finest equipment like Gemini amplifiers and Behringer speakers and you won’t find the finest equipment unless it’s from the Pro Sound Depot.